We dare you to look at this birthday card without smiling! Everything about it is simply amazing. The different shades of pink are tons of fun, while the high heel filled with makeup products is sure to get a chuckle out of everyone. This is truly a one-of-a-kind card. Bonus: Looking to make the birthday girl extra happy?! 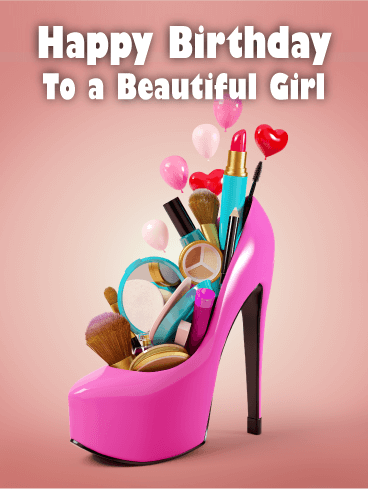 Throw in some makeup products or a beauty store gift card with the birthday card! This marble birthday card is the all-encompassing card you've been searching for. This is the perfect birthday card for almost anyone-friends, family, acquaintances, colleagues. 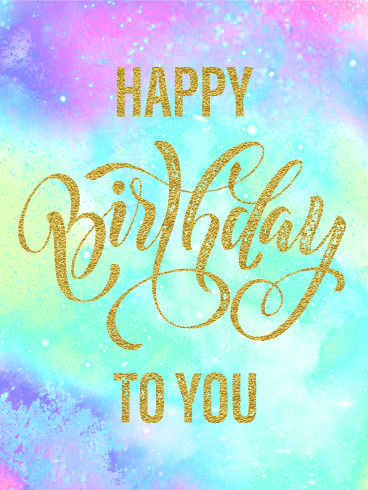 With the fun, bright-colored background and sparkly letters, this birthday card is sure to stand out. 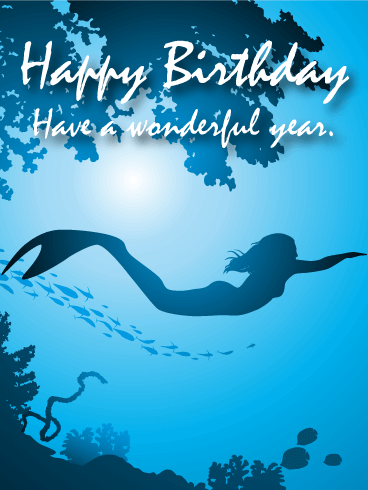 It's easily customizable based on the recipient and is the perfect card to have on hand for last minute celebrations! Is there anything more majestic than a unicorn?! It's the absolute perfect symbol of the magical birthday you're wishing for the recipient. 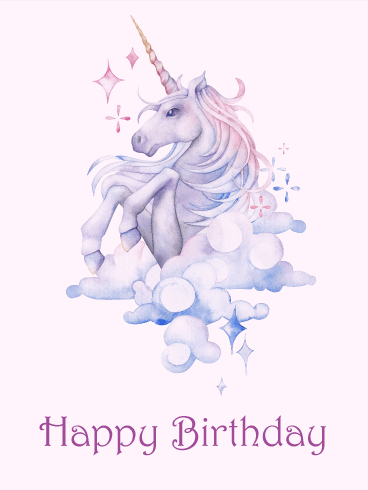 This unicorn birthday card is a fabulous choice for anyone who adds a little sparkle to your life, whether they're eight or eighty. 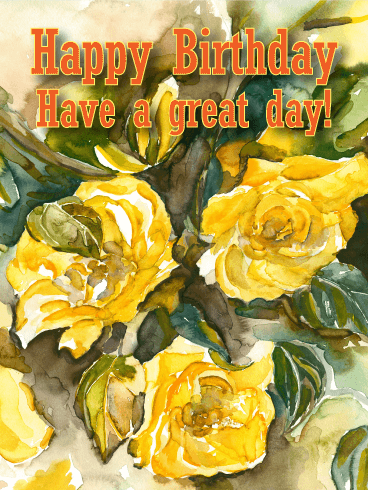 The bright colors of this birthday card are sure to make it stand out amongst the rest. 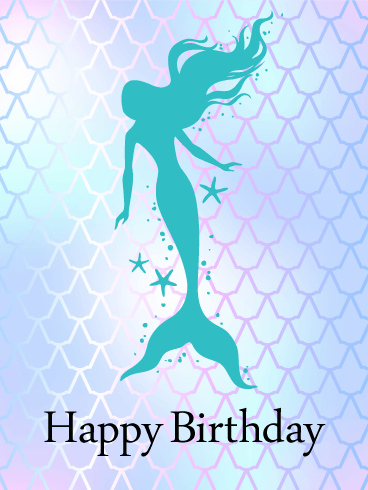 For the mermaid lover in your life, this birthday card is sure to be a hit! What's not to love about it?! 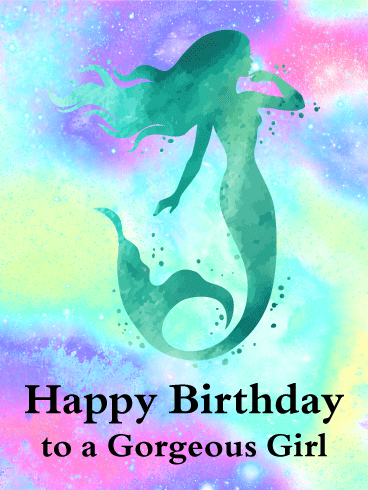 The bright purples and blues add an element of fun, while the mermaid silhouette is eye-catching. Tailor the card to fit your needs, and write a sweet message to the recipient. Whether the birthday girl is four or forty-four, she's bound to love this birthday card! 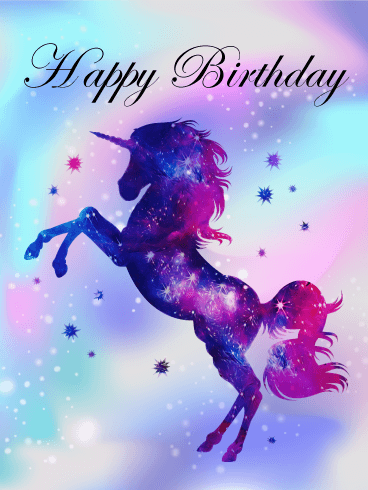 While there are definitely some unicorn birthday cards out there, you certainly won't find any that are as sophisticated and majestic as this one. The unicorn caricature is soft and subtle, adding the fun element of a unicorn without being over the top. 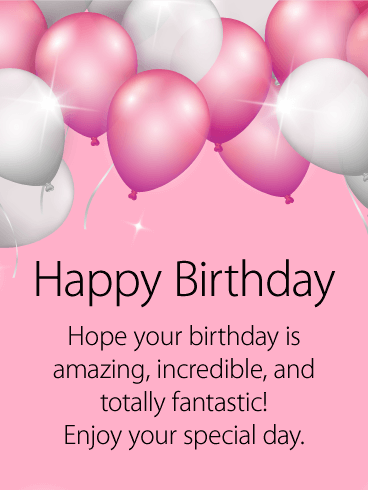 This birthday card is sure to be a hit, and it's the perfect addition to any birthday celebration! 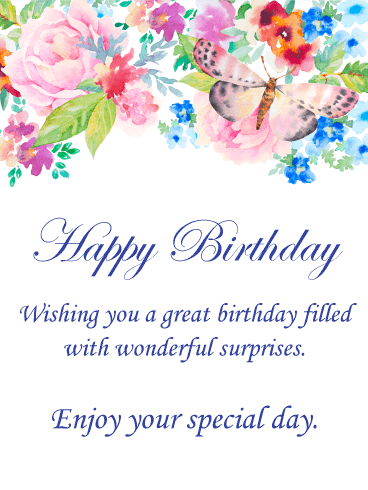 The sweet simplicity and gorgeous colors of this birthday card make it a can't-miss choice for anyone! The seashells add an element of whimsy while also keeping the theme and color scheme cool. 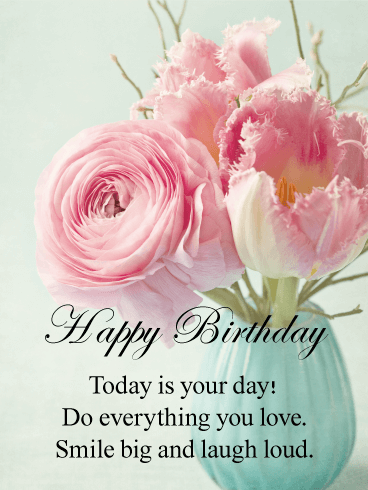 This birthday card is a great choice because of its versatility. 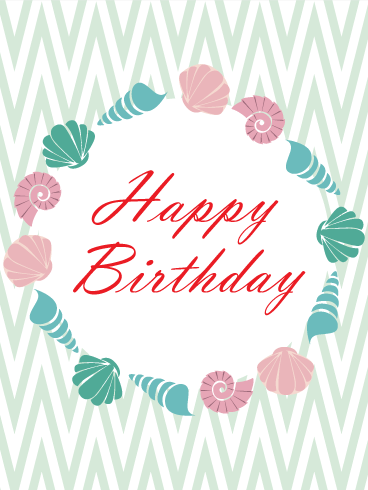 For the beach lover in your life, you can't go wrong with this beach bash birthday card! This birthday card is the epitome of fun and whimsy. After all, the sparkly, eye-catching background has exciting shades of pinks, purples, and blues that bring a smile to your face just looking that them. 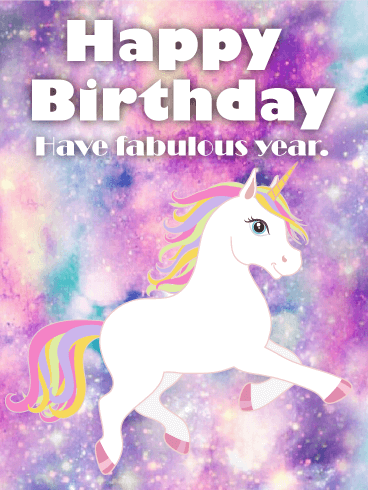 Add in the magical, multi-colored unicorn and sweet sentiment and you have a truly unique card that is sure to make anyone smile.